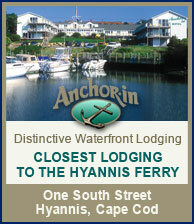 Ready for your escape to the beautiful Islands of Martha’s Vineyard and Nantucket? At the Steamship Authority, we look forward to getting you there safely and in comfort. 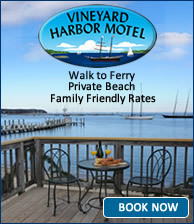 Ready for your escape to the beautiful Island of Martha’s Vineyard? 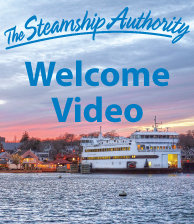 At the Steamship Authority, we look forward to getting you there safely and in comfort. 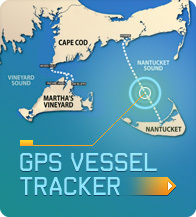 Ready for your escape to the beautiful Islands of Nantucket? At the Steamship Authority, we look forward to getting you there safely and in comfort. Directions to our ferry terminals and parking lots. The current status at each terminal including trip information (delays, cancellations and diversions), vehicle standby status, parking and weather conditions. Tips to ensure you have an easy arrival and smooth departure. You will also find detailed information about our parking lots, accessibility policy and procedures, as well as a quick guide to public transportation once you get to your island destination. Please remember that all passengers and vehicles must be at the dock and ready for boarding at least 30 minutes prior to scheduled departure. During the summer months, we recommend you arrive 45 minutes to 1 hour prior to the scheduled departure time, as passenger capacity may be reached on popular sailings prior to departure. 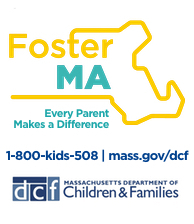 For car-free travelers, convenient public transportation is available from Boston, Providence, New York City, NY and CT to our docks. Upon arrival at the terminal, our uniformed attendants will direct you to a convenient location to board the ferry and where to place your baggage. Please have your reservation information available when you arrive at the terminal. Public restrooms, free Wi-Fi and TV are available on all of our vessels and inside all of our terminals. Our on-board snack bars offer a variety of beverages, including beer, wine and mixed drinks, as well as an assortment of hot and cold menu items. and inside all of our terminals. 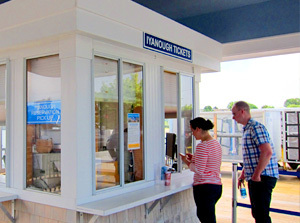 The high-speed ferry passenger pick-up/drop-off area at the Hyannis Terminal features a large shelter with bench seats where you can enjoy views of Hyannis Harbor. 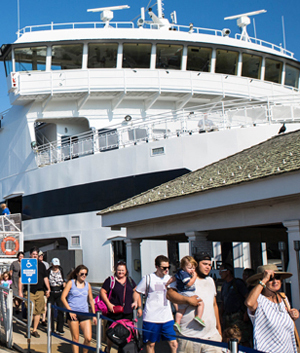 You can drive right up to the high-speed ferry slip, drop off your luggage and/or other travelers, and then park your car in one of our premium parking spaces located at the Hyannis Terminal (limited spaces available) or in one of our off-site parking lots. Our complimentary shuttle service brings you to and from the off-site parking lots. And during the summer season, you can purchase high-speed passenger-only ferry tickets from our ticket booth, located just steps away from the boarding ramp, open from 9:00 am – 5:00 pm.